I have good news for those of you looking to take the Happy Villages workshop in the New England area. 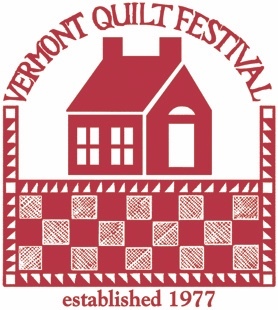 It will now be available as an all day workshop at the Vermont Quilt Festival. 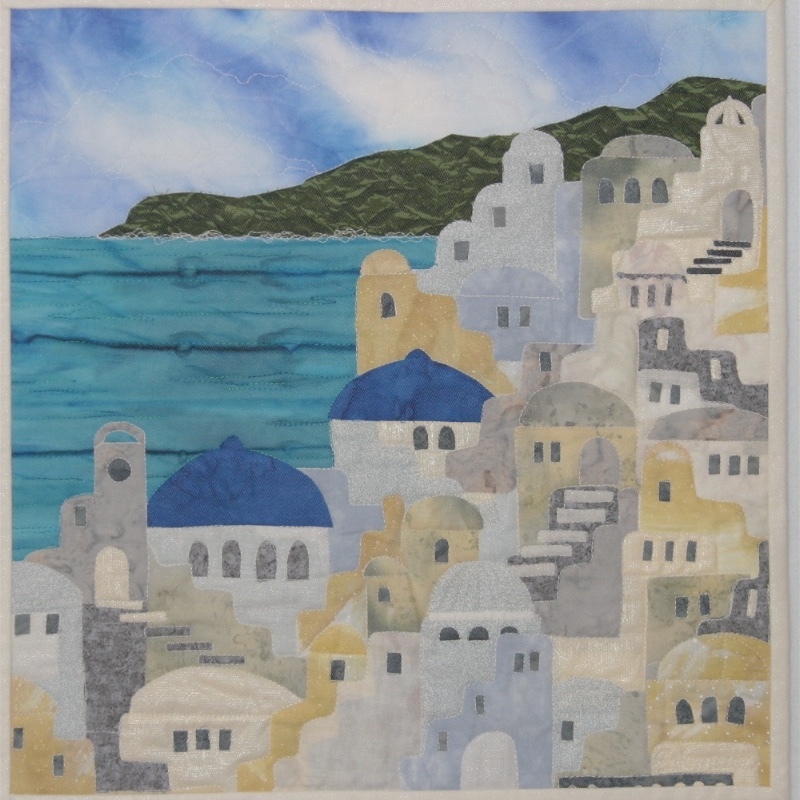 Here is a link to the VQF site with a description of this fun collage class. Leave your sewing machines at home and have a “grown up” Kindergarten class with scissors and glue. 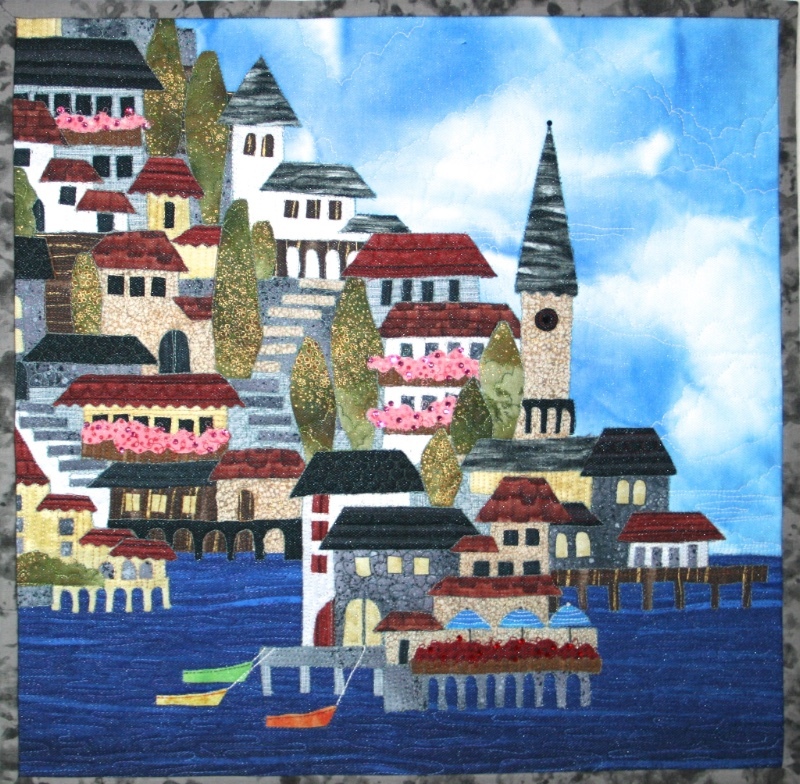 Build the village of your choice…..fantasy, whimsical or inspired by a real life village. If you work fast, you may want to bring your sewing machine, but most students enjoy the slower pace of simply playing with fabric. 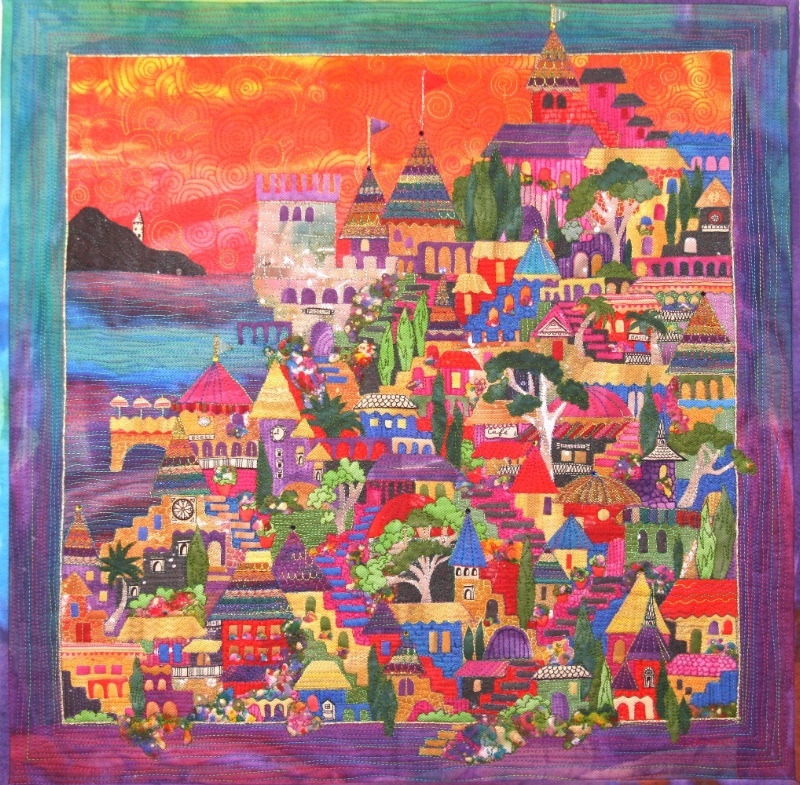 Thank you for your interest in my quilts and workshops. Since the Spring Newsletter of a few days ago (April 29), I put the last stitches on the "Into The Light" quilt. 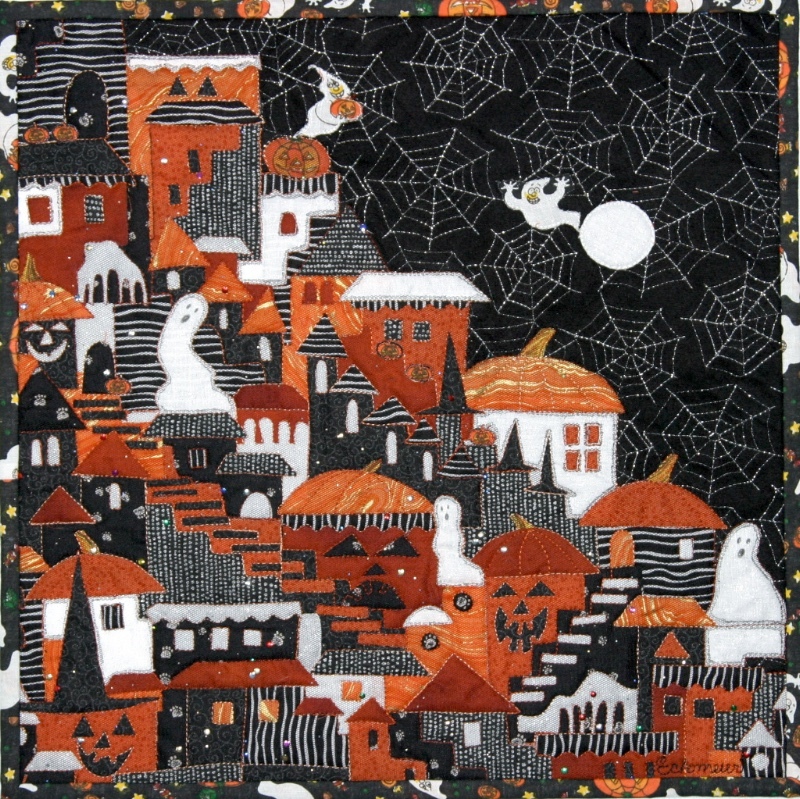 It took 3 months to make and 60 hours to quilt. Pictures to follow in the Summer Newsletter. Sigh of relief that it is finally finished. I can relax now.....or at least until the next idea hits me! 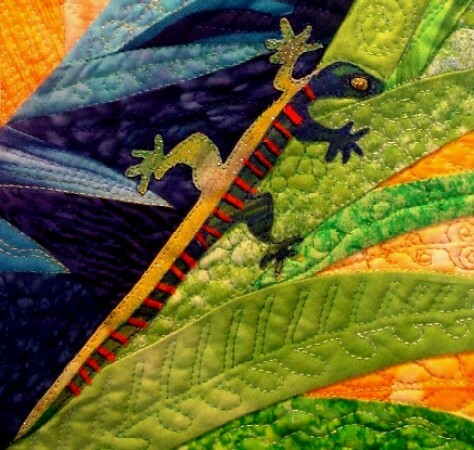 Happy Quilting and keep on making waves!! !